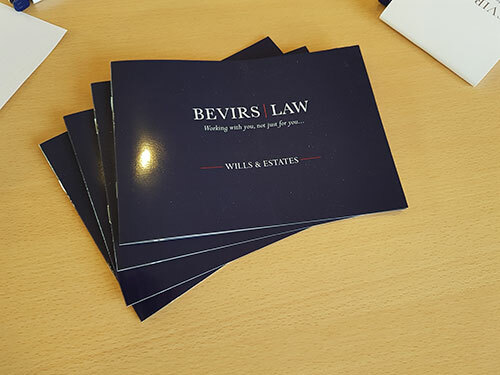 Community – Latest news, community events and social information from Bevirs Law. 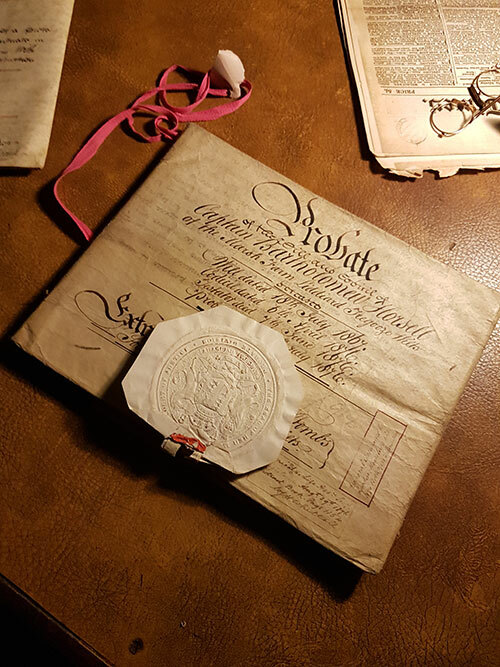 Despite the fact that Community Interest Companies have now been around for a long time, we were only recently asked to be involved in the creation of a Community Interest Company (CIC). The first question to ask is whether the intention of those promoting the company can fall within the definition of a CIC. In broad terms, a CIC must be a company whereby there is no intention to make profit for distribution to the investors. The intention is that any profit is made for the benefit of the community. There is an ability to pay shareholders but this is subject to a cap. In many ways a CIC is similar to a charity but the principal difference is that the intention is to use commercial expertise for the benefit of the community as distinct from doing this from a charitable perspective. I appreciate that the line between the two is blurred. There is one important point which is if a CIC is created it cannot be converted into a charity. Having said that, a charity can use a CIC for its commercial activities. There may be many reasons for not creating a charity but the principal will be that the objectives are not charitable objectives. For example, a CIC may be used to save the village pub. Whilst many of us consider that to be a laudable and worthwhile exercise it is not, by definition, charitable. In setting up a CIC you have to have a clear idea of the community which you are trying to benefit. A community may either be the whole of the population or a definable group within the UK or elsewhere. The important point is that the community must share a common characteristic and be recognisable as a section of the community. Reverting to the example of the village pub, to describe the community as regular drinkers of the pub, or a particular type of beer within a pub, is unlikely to be acceptable. However, if the community is described as the residents of the particular village then that should be sufficient. In case the readers should get the wrong impression of the significance of alcohol in my life, other examples could be the running of a bus service for a community or a community centre. What is a community is widely drawn. For example, the residents of a particular area, people with leaning difficulties, sufferers from a particular disease. In all this, there has to be a wider community interest so that a company set up to benefit the employees of a particular employer will not be sufficient. If the primary interest is to benefit the employees or ex-employees of a particular employer then the wording in the creation of the CIC will have to be carefully considered. Certain activities are specifically excluded from being capable of being incorporated into a CIC. I have already mentioned charities and another is a political party. CICs are regulated by the CIC Regulator who will have to approve the creation of such company. 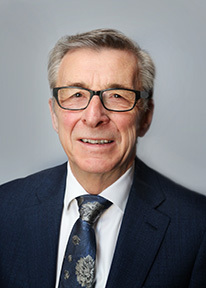 Leaving aside the fact that a CIC has to be set up for the benefit of the community and not for the purpose of making a profit to be distributed to its members, the company will be the subject of the requirements of running a limited company with directors and the necessity of filing documentation. CICs have been successfully used but merely because they are a CIC does not guarantee the success of the activity. For example, if the CIC has been set up to run a taxi service, if there are not enough people who are prepared to be taxi drivers the project will fail. The CIC is an interesting and useful concept which has assisted many worthwhile projects to be incepted and then progressed. We have had a wonderful week doing both the Swindon College Career Fair and Ridgeway School which we have done for the last three years. 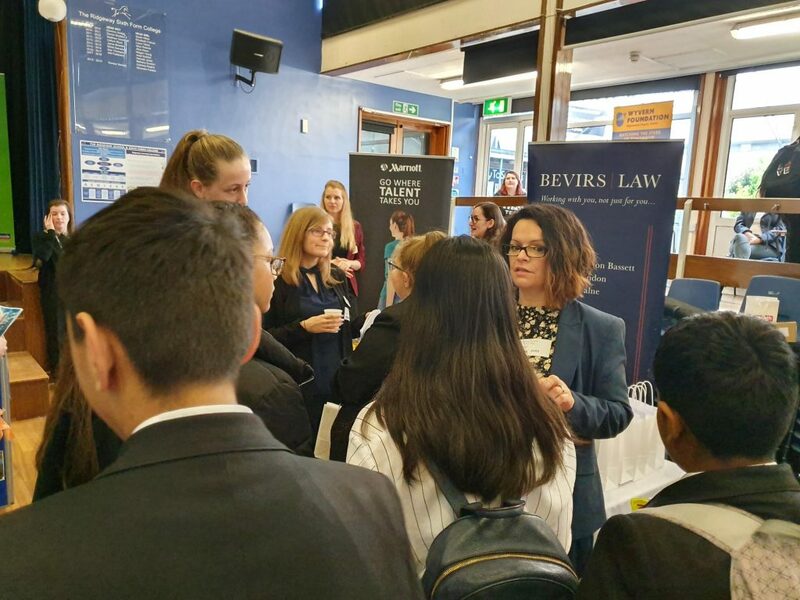 The Bevirs Law team always find it very valuable and it’s great to hear such positive feedback from the schools. Michelle Godwin and Michelle Bowyer, both from our Family Team, shared their love of law and their journey to law and the route they took. It’s always lovely to hear that students have found our advice beneficial and how we have inspired them to become a successful lawyer one day. As 2018 draws to a close, we wanted to reflect on how positive our year has been. We have seen consistent growth across all the departments and have recruited additional staff over the past 12 months to meet the demand for high quality legal services from our clients. Our client feedback questionnaires show that many of those replying were repeat clients and we are thrilled that they chose to use us again. Thank you. We have also seen our Trainee Legal Executives succeed in their annual exams and look forward to supporting them through the rest of their training and watching them continue to grow into exceptional lawyers. Due to the growth within the business, we have seen numerous internal promotions to include new Partners, Associates and Legal Secretaries. We have celebrated a merger with David Jeacock and are looking forward to working with David’s clients and indeed with David who has agreed to be a consultant. 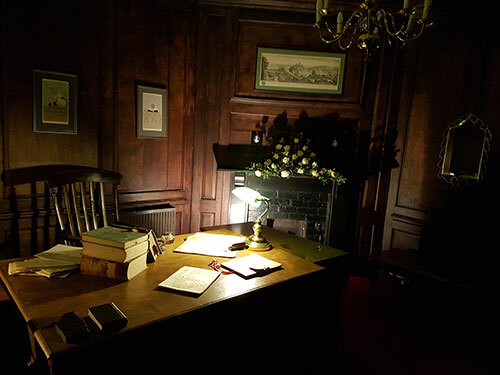 We very much look forward to seeing what 2019 has in store for us and would like to wish all our clients and business colleagues a Happy New Year! 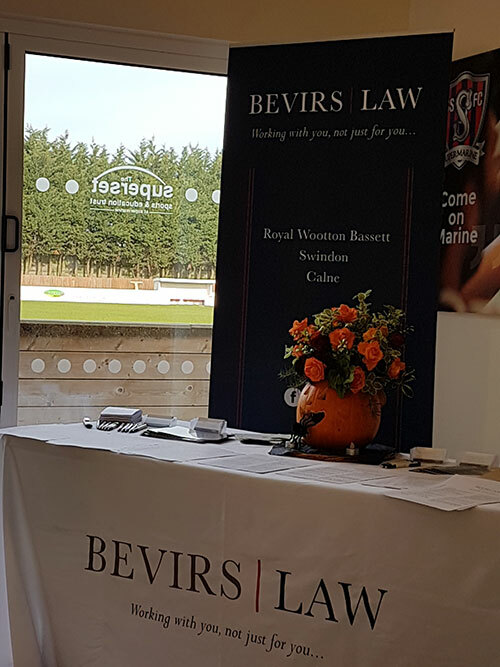 Last night Sonyia Woolnough, of Bevirs Law, attended Royal Wootton Bassett High School to present the ‘Excellence in Law’ award which Bevirs sponsor annually. 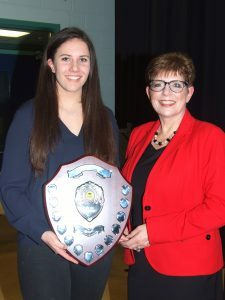 Congratulations to Emily Howse who won the award this year. Emily is a current Year 13 student studying BTEC Applied Law, Applied Business and BTEC Engineering. She is applying for University and plans to study Law at either Exeter or Worcester. We look forward to working alongside Emily who, after invitation, plans to do some work experience with Bevirs in her gap year. We look forward to having you Emily! 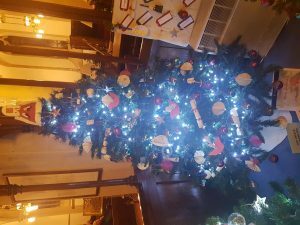 Christmas Tree Festival at St Bartholomew’s Church! 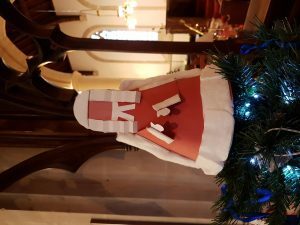 This year Bevirs participated in the Christmas Tree Festival at St Bartholomew and All Saints Church in Royal Wootton Bassett. 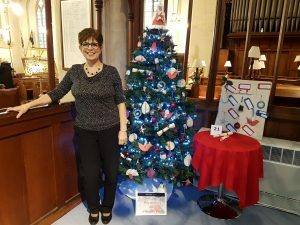 39 Local businesses participated in the festival and the Church looked beautiful all lit up with so much colour. 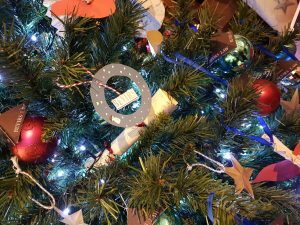 We had such fun creating the decorations for this tree using all recycled documents and paperwork from the office. 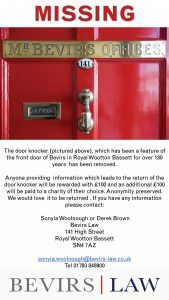 Our staff in the Royal Wootton Bassett office did a great job. Our tree was called ‘The Reinvention Tree’. 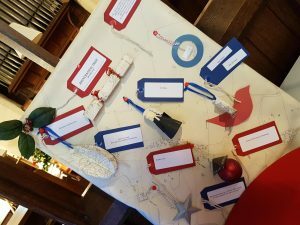 All funds raised from the festival went to Wiltshire Air Ambulance and the Church. We are pleased to announce that we have officially become the main sponsors for Calne Bike Meet which will take place on Saturday 28th July 2018. 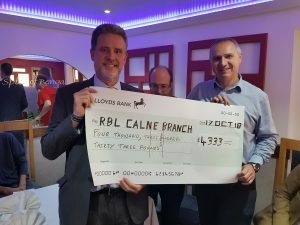 Calne Bike Meet started life as Calne Motorcycle Meet and was the brain child of two local motorcycle enthusiasts and two Rotarians back in the year 2000. The basic idea was to bring trade to the town and to “put Calne on the map”. The first year started small with just a few bike clubs and some private motorcyclists attending but that soon changed as word got around. Just 4 years later in 2004 the event had grown with vintage, classic and veteran bikes coming in large numbers. Then there were the specialised clubs like Bath Classics, BSA, classic Japanese, BMW, Virago, Royal Enfield and many more, suffice to say, that every make and style of motorcycle comes to Calne in their thousands on the last Saturday of July every year and attracts many more thousands of spectators, filling the town centre for the whole day. 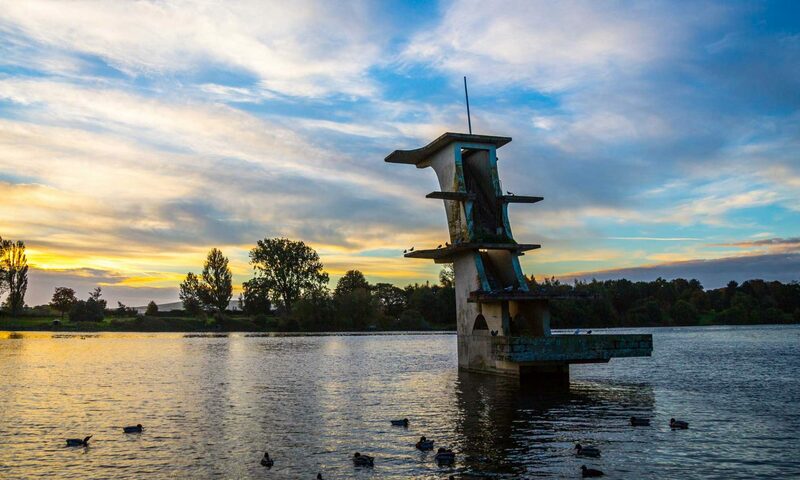 Now it has fulfilled its original aim and certainly put Calne on the map, as people come from all over the country, with some arriving from the continent. 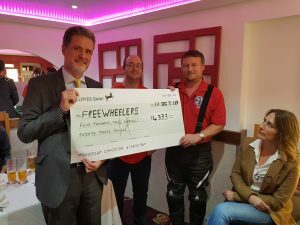 The main reason for this success is the fact that it is based in the town centre and is the only free event of its kind in the country, and the bikers are made to feel welcome. We wish, not only to sponsor, but to participate in the days events, we will have gazebos set up and will be joining the ride out. It’s really important to us to spend time with the local community which we serve and enjoy spending time with. 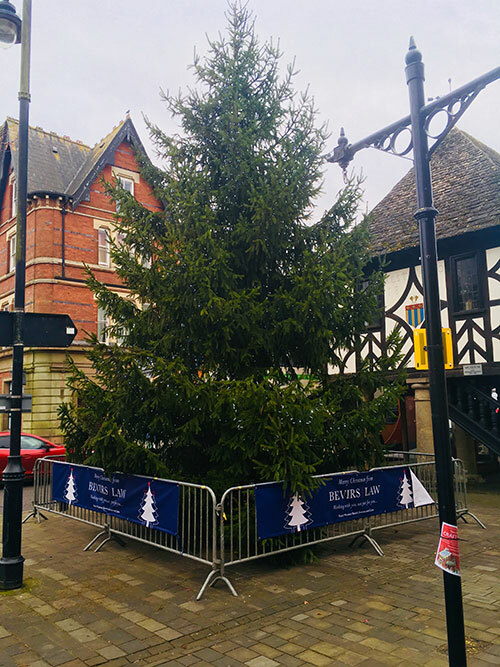 Bevirs Law sponsors Christmas Trees in Royal Wootton Bassett for the next five years. 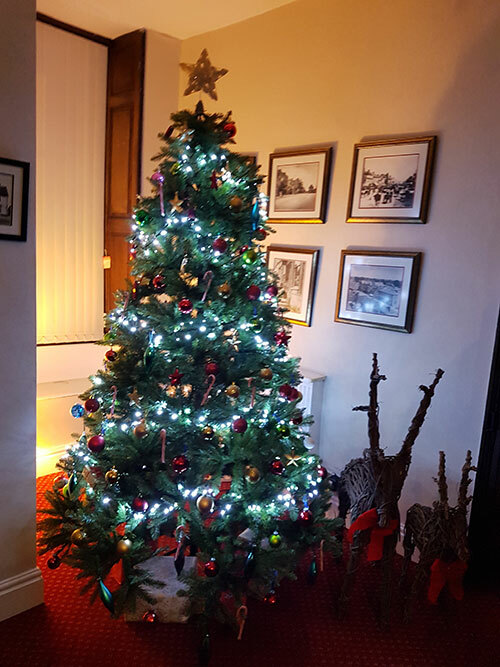 We were so pleased to be asked to sponsor the Christmas trees in Royal Wootton Bassett and have signed a contract to sponsor them for the next five years. 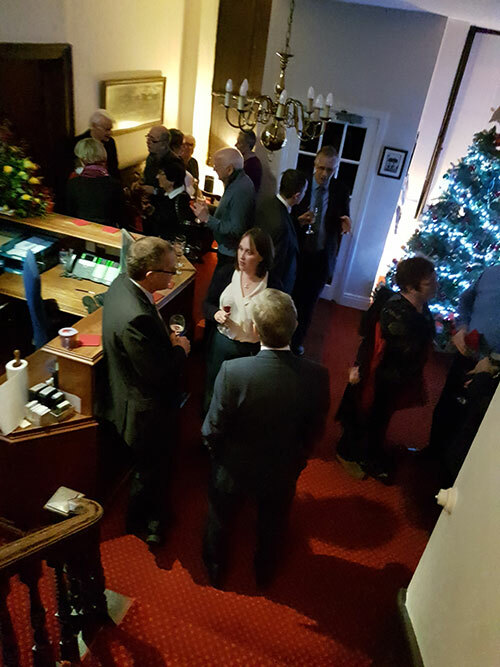 To celebrate this, on 1st December, we invited some long standing clients and local businesses along for some festive food and the odd glass of vino! Thank you to everyone that attended, we had a lovely evening and hope you did too! 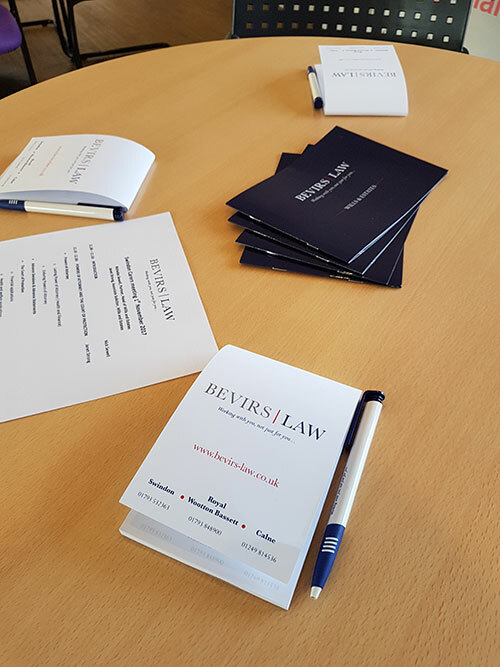 In association with Swindon Supermarine Sports and Education Trust and Swindon Carers, Bevirs Law were asked to run a Legal Surgery regarding Powers of Attorney, The Court of Protection, Wills, Trusts and Probate. Nicholas Sewell and Janet Strong who both presented at the Legal Surgery were delighted to have such a lovely and interactive crowd. 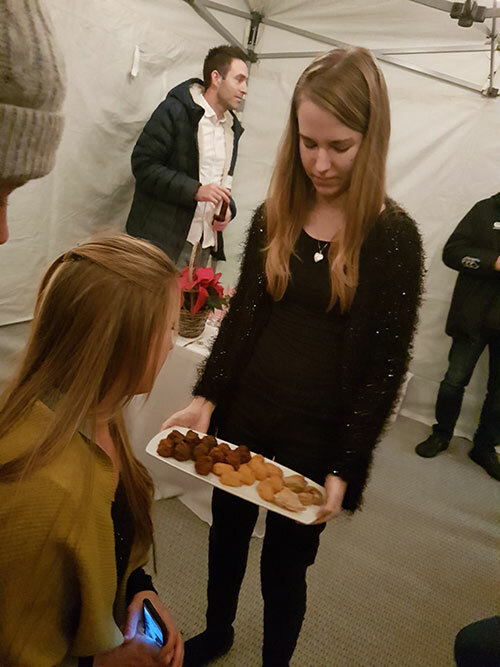 Janet “It was a pleasure to meet everyone and it is always interesting to hear the experiences of different people. 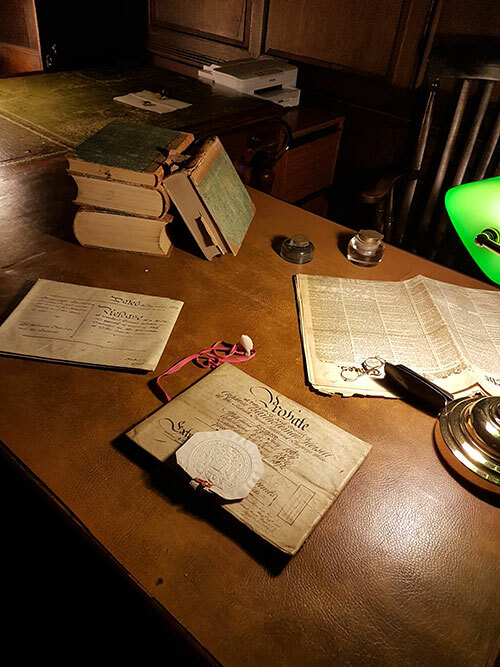 I would like to thank everyone who raised individual queries, as I think these help bring the law to life as a practical subject, not just an academic one. Bevirs would also like to thank Swindon Supermarine Sports and Education Trust (SuperSET) for the use of the Trust Building setting the perfect environment for the audience and some of the tricky subjects we covered. For any more information regarding this article or should you wish to discuss with us the possibility of a tailor made legal surgery for your organisation then please don’t hesitate to contact hayley.tarrant@bevirs.co.uk or ring on 01793 532363 ext 336.